Preparing your business for the cold weather can help reduce your energy consumption, help keep the cost of your winter energy bill under control, and keep your business warm when the temperature drops. So here are a few energy saving tips for over the winter to make sure you’re not throwing those pennies away. • Take a regular walk round the workspace to check that employees are working to an energy efficient standard and see where you could save energy. Raise staff awareness of energy usage at work and share energy-saving tips. • Your boiler will have to work much harder during winter so get it serviced to make sure it's working efficiently. Insulate water heaters and supply pipes. • Consider having employees use laptop computers since they use up to 90 percent less energy than a standard computer. • If it works for your business, consider ink-jet printers which also use 90 percent less energy than laser printers. • Set the thermostat in your workspace to 68 degrees during work hours and raise the setting to 55 degrees when the space is unoccupied. For every degree you lower the heat in the 60-degree to 70-degree range; you can save up to 5% on heating costs. • Install ceiling fans - they circulate warm air, pulling it away from the ceiling. • Ensure your business benefits from discounted supply rates simply by paying through monthly Direct Debit. 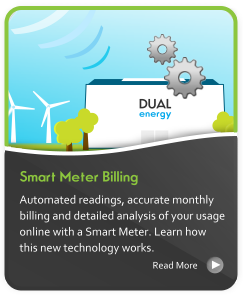 • Register for a smart meter to ensure your bills are accurate. An average business can expect to reduce its energy consumption by 12.3% with a smart meter. • Already have a smart meter? Register for Web Analyser Service to track your electricity usage and identify savings. Further information can be found here.